Many of you are business owners and, if you're based in the US, I am sure you're all too familiar that April is tax month. On the subject of taxes, I was inspired by a chat in the Post Status Slack Channel. I signed up for a Post Status Club membership a few weeks ago before I went to PressNomics. If you're a WordPress fanatic like I am, it's a great place to bump virtual shoulders with the who's who of our industry. Just the other day, there was banter about whether or not to hire a CPA to do one's taxes. I realized, we're celebrating our birthday this month and we've learned a LOT over the last two years about running a business. We've benefited immensely from companies like Pippin's Plugins and Ninja Forms who are so generous with their knowledge. I'm hoping to continue the tradition and share some of the things we've learned and mistakes we've made. My dad always prided himself on doing all of our taxes himself. To his credit, he did a great job and I really appreciate all the time he spent helping with the family taxes. Like me, though, we tend to be “big picture” thinkers and occasionally have a bit of trouble keeping track of small details. Unfortunately, the IRS isn't exactly flexible when it comes to overlooking a few “small details” and he's been going back and forth with them resolving small discrepancies for decades. For that reason, saving myself the time and potential trouble, hiring a CPA to do my taxes was a great decision. Along with getting a CPA to file taxes, over the last few months, we've been working with a very talented law firm to get our legal documents in order. Originally, we used Rocket Lawyer to set up our LLC. It's wise to set up an LLC to protect one's personal assets. We were a bit shocked to learn that, because our Rocket Lawyer LLC didn't cover many of the requirements needed to actually be an LLC, we may not have been protected. Don't get me wrong, services like Legal Zoom or Rocket Lawyer are great if you're just getting started, but it's important to know they're not nearly as thorough as hiring a professional. On the subject of lawyers, if you have a client services business, this video titled “F*ck You, Pay Me,” is a great one to watch. Billy, Justin, and I are fortunate that we're really good friends—more like family even. Not all business partnerships are so lucky. At our old office, two of our friends were partners in an auto shop down the street. Sadly, they had a bit of a falling out. I think watching their “break up” first hand was part of what prompted us to discuss what we would do if one of us wanted to leave the company. Thanks to our lawyer, we now know this is called a Buy-Sell Agreement. It's a bit like a will for your company. Over a beer or two, we had a pretty morbid—but important—conversation about what we wanted to do if one us kicked the bucket. While it was a bizarre conversation to have and to think about, there is some peace of mind knowing that we've hashed it all out on paper. I mean, it's inevitable…death and taxes, right? 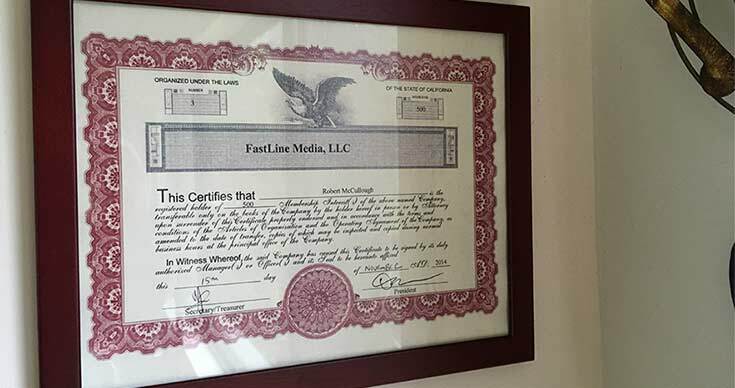 The moral of the story is, FastLine Media had been in business for many years without ever dealing with this stuff—and it was fine—but there comes a time it makes sense get things in order. With hindsight, now that we know what was involved and how it really wasn't that difficult, we probably could have done it sooner. Okay, enough shop talk! Prompted by our update post last month, I really do want to write more about things that can help you, but enough is enough. Time to talk about us, hehe! We're trying a few new things here. First, we're going to start naming our major releases. For the upcoming 1.8 release, we're naming it Gordon. Why Gordon? Because it's a famous dam, of course! 🙂 The Gordon Dam is in Australia, and it's going to make for an awesome featured image in our next version update post. We'll have a version release post published soon with all of the details. We're proud new owners of a premium domain name, beaverbuilder.com! Pretty cool, eh? I got the opportunity to go on the WPwatercooler Podcast to chat a bit about graduating from SquareSpace to WordPress. The Watercooler is one of my favorite WordPress podcasts. I try to catch it every week. WP in 1 Month is a project started by our buddy, and very talented teacher, Joe Casabona. We jumped on the opportunity to sponsor a webinar with Joe called, “Going from Zero to Website with Beaver Builder.” This is a great introduction to Beaver Builder and it would be an awesome resource to share with your clients/friends that are new to the software. WordCamp San Diego is this weekend and we're thrilled to be a sponsor. Unfortunately, none of us will be able to make it in person, but we sent over a bunch of stickers and we're sure it's going to be a great event. WPChat is a favorite hangout of mine. Quite simply, it's a forum/chat community for WordPress. Come and by and say hi. It's a great place to ask questions and meet other folks using WordPress. While it's not exactly a sponsorship, I'll be attending Collision Conference in New Orleans next week, and I'll be exhibiting Beaver Builder on Wednesday. If by chance you're in the area, come by and say hello! Geez, I can't even believe I am writing this. It's surreal. 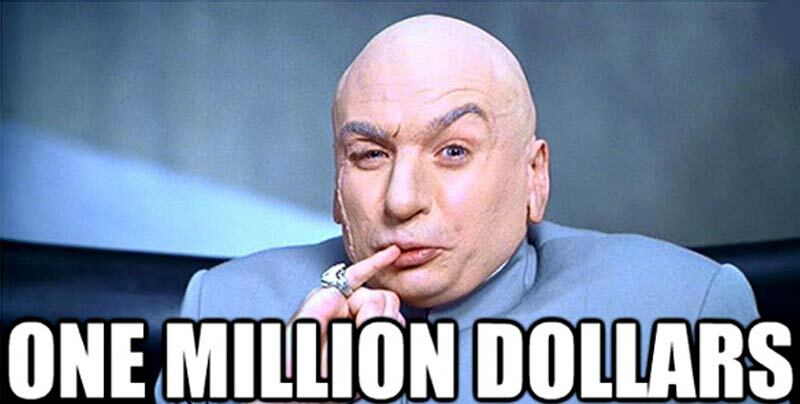 We celebrated Beaver Builder's 2nd birthday this month, and within days of that milestone, we hit another huge milestone: $1,000,000 in gross revenue! We also just passed 100,000 websites that are running Beaver Builder. The page builder revolution is in full swing! We think it's important to share this milestone. We want you to know that your decision to use Beaver Builder—and in many cases, the decision to build your business around Beaver Builder—is a safe one. We want you to have the peace of mind that we're going to continue to be there for you. Beaver Builder has seen month over month growth almost every month for the last 2 years. We've been growing our support and development teams, and laying a foundation for Beaver Builder to continue to grow and thrive for a long time. No one likes it when a product they've used and grown to love disappears. Along with our sincerest thanks, we wanted to let you know that things are humming along smoothly over here. Oof. I feel like the cat is out of the bag. Not much more to say here except thanks again. These two years have been a wild ride, and we're enjoying every minute of it. Well done written Robby. Keep up the awesome work. Happy Birthday, two-year-old! Are we ever happy to see you guys continue to be successful-because selfishly it means we are guaranteed a great, supported plugin! Hey Brenda. Thanks for the happy birthday! I hate to say it, but I think June will be a tough month for travel. We’d love to send some stickers out, though. Good for you guys and good for us to love working with BB. Wishing you all much more continued success, and yes finally that domain is yours, you don’t know how many times I accidentally typed that in and forgot to put the wp in front lol, so winning!! Looking forward to all that’s ahead with BB and so far I’m enjoying the alpha release, really nice to use. Oh, good! We decided to get it “defensively” in a way, so that a competitor or someone malicious couldn’t pick it up. Talking about it, maybe we should track how many people are hitting that domain. I am curious now, haha! That’s nice of you to say! Much appreciated. Ok, because you asked. Yes, love reading these. Bummed you won’t be at WCSD. Congrats on hitting 1M! Yup! That’s the same transition we made. Of all the months, April is definitely biggest PIA when it comes to owning a business, haha. Congratulations! We are still loving our site! Thanks, Chantal! The remindercall.com site is on my short list of favorites. It looks great. Congratulations to the whole beaverbuilder team! Y’all deserve every bit of success that comes your way. Oh, that is a good idea! We’re doing the visibility settings so you can toggle a row/module to only show when a user is logged in. That might work? 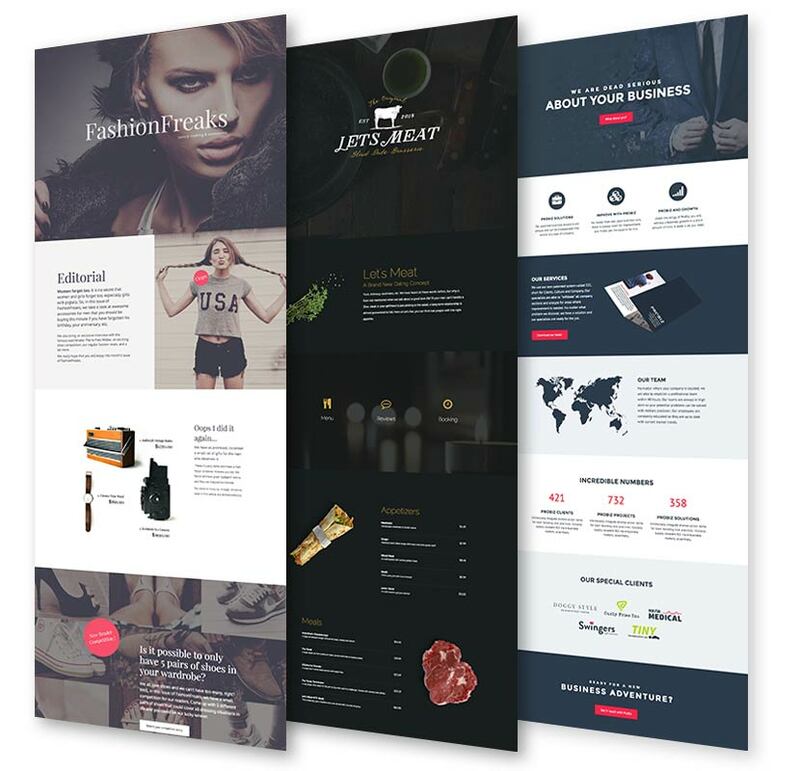 When I’m working on a site, I’ll usually duplicate a page to work on it, then save a template when I am done and replace the existing page with the template. We could definitely save some steps doing it your way. Robby, the duplicate page technique or user id trick are two of several ways that I can get around this, the others being creating a global module and stashing it away or even using CSS to make something invisible. But all of those are far less efficient workarounds compared to the clean, easy, and elegant option to simply set a module’s display to nowhere. I urge you to consider it as the very best solution to this simple challenge. Rick, “Never” is actually an option with the new visibility settings 🙂 Download the alpha, give it a shot, and let us know what you think! Justin, how does one acquire an alpha version and how do I safely put it into service? Happy Birthday. Any discount on paid options? Hey Troy! Thanks for asking. Sorry, but we’re not doing any promos or discounts now or in the near future. Happy Birthday Beaver Builder! You guys are awesome. Keep up the great work and don’t forget to celebrate! Awe! That’s so sweet. What a great drawing. Thank you. We believe in the “work hard play hard” adage over here. We definitely won’t forget, hehe. Cheers! Congratulations guys! SO exciting…. and SO very deserved! Can’t wait to see the new templates! Better than Christmas! Hey Kim! Thank you. <3 For your support and feedback. You've been around since very close to the beginning, and we really appreciate it! Well done guys 🙂 The new themes look stunning – love it! Thanks for sharing Robby. Just got some great support from you guys. Also I was just getting back from a WordPress meeting in Slovenia and I was talking warmly about BeaverBuilder. Keep it up and let’s work on the 2 million! Alright! Beaver Builder in the motherland (I am 1/4 Slovenian). My Grandpa will be very proud! Glad to hear about your success with BB. It was about a year ago that I first heard about it on a podcast, and it sounded like the perfect tool for my business. It was well worth the investment! You guys are doing a great job of building a solid software tool and business! Thanks, Eric! I’ve heard so many people say that the first heard about us on a podcast! It’s wild how much reach they have. Thanks again for the kind words and the comment. Happy birthday BeaverBuilder! And congratulations on 100,000 website installs and $1,000,000 in gross revenue. It’s not difficult to see why, BB is simply in a league of it’s own. May the future bring even more well deserved success. Hey Athlone! It was a big week!! Thank you for the comment. Our pleasure. Thank you for your support. Well done on the success guys. Keep up the good work and I am sure the success will continue. Great update. Glad to see you guys are doing well. The more support you have the better the product will get! Keep up the good work. Congrats on the milestone! BeaverBuilder has completely changed how we empower clients to interact with their website. Keep up the great work! Awesome to hear that. Thank you for the comment, Tyler! Congratulations !! Wishing all much more success in the coming years…. Congrats on hitting that milestone! That’s huge! 🙂 Very excited for next release, as always! I Love the Beaver. Other page builders just do not have the stuff. Can’t wait for Gordon. We tested the free plugin at the start of our journey and very quickly bought the Pro Subscription to use the BB Theme and were thrilled at the decision. Last month we made the final move up to the agency subscription and theres no going back, we’re kinda glued together now. Again well done guys.